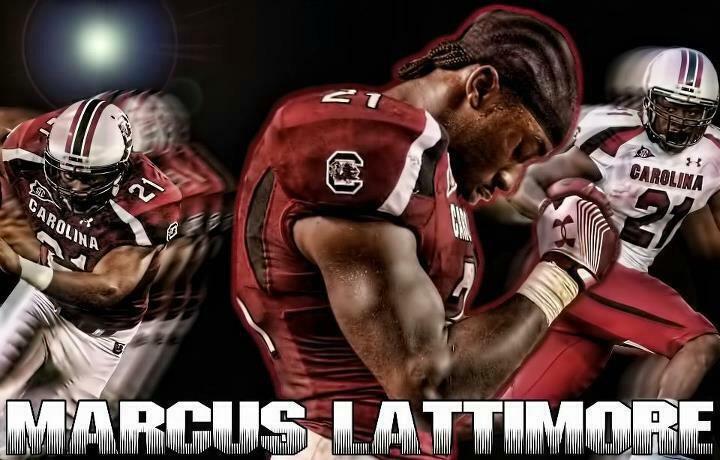 If you watched the Carolina vs. Tennessee game yesterday, then you saw the terrible injury received by our beloved Marcus Lattimore. Marcus is a wonderful person, a great role model, an inspiration to us all...and he just happens to be one of the greatest running backs in all of college football. After suffering a terrible knee injury last season, there was speculation that it was career-ending and he would not be returning. And if he did return, he wouldn't be the same player as before. He proved everyone wrong by his incredible work ethic and his undying faith in the Lord. He came back just as strong. He's had a great season so far, and then this happened. I was at the game so I didn't see the slow-mo, up close of the hit that caused his injury. And I cannot bring myself to watch it, even though we have the game recorded. My friend and I cried in Williams-Brice Stadium yesterday. We cried for Lattimore's pain and we cried as we watched one of the most amazing examples of true sportsmanship displayed for Lattimore on the field. 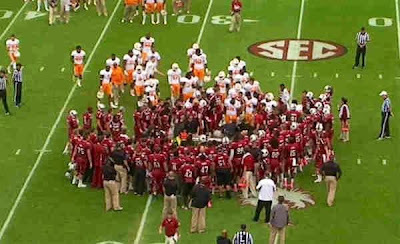 I am praying so hard for Marcus, his family, and his teammates. This isn't even about football, this is about a great guy who deserves all the best in life and in his career. Please pray that he recovers and is able to continue his career. No matter what the outcome, God will continue to use Marcus in ways we can't even imagine. I'm right there with you. 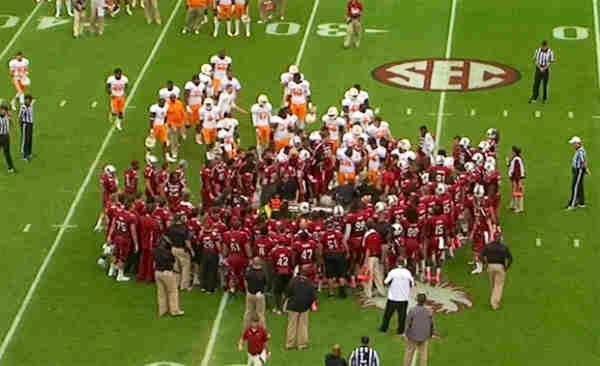 I bawled like a baby at the stadium yesterday and cold chills ran up and down my body as players from both teams surrounded him as they exited the field. That win yesterday was for Marcus! I saw someone put on Facebook that bad things happen to good people because they are the only ones who can find positive in the situation and rise to the top. 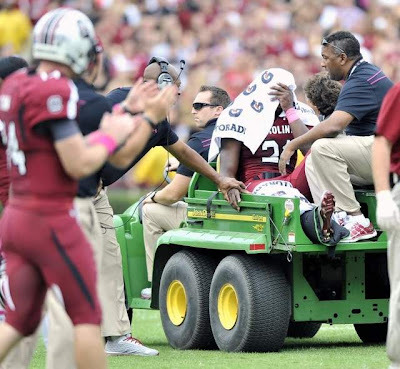 If anyone can overcome an injury like this, mentally or physically, it is Marcus! I admire his strength, courage, and faith in the Lord. Prayers to him and his family as they start another journey to recovery. Great post, Caroline. Well said.